Inspired by Freemans political book recommendations I thought I'd share my current read. Most of you are probably familiar with Oliver Sacks Awakenings. And you can start with his interview at The World Science Festival on the topic of Hallucinations to see if you might be interested in the book. "To many people, hallucinations imply madness, but in fact they are a common part of the human experience. These sensory distortions range from the shimmering zigzags of a visual migraine to powerful visions brought on by fever, injuries, drugs, sensory deprivation, exhaustion, or even grief. 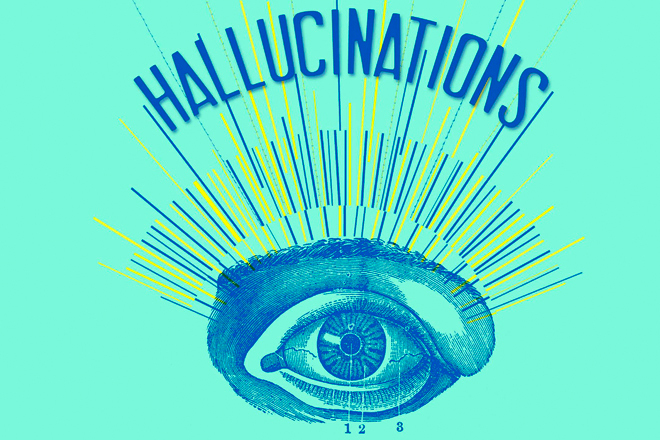 Hallucinations doubtless lie behind many mythological traditions, literary inventions, and religious epiphanies. Drawing on his own experiences, a wealth of clinical cases from among his patients, and famous historical examples ranging from Dostoevsky to Lewis Carroll, the legendary neurologist Oliver Sacks investigates the mystery of these sensory deceptions: what they say about the working of our brains, how they have influenced our folklore and culture, and why the potential for hallucination is present in us all." It's an easy enjoyable read that can be shared with family and friends. And frankly useful, we all have family members that are/will experience halluciantions and from macular degeneration, epilepsy, Parkinson's, etc, and this book will give excellent perspective in talking and possibly even enjoying to talking to them about their experience. all fascinating reads... i've no doubt his latest will have the same appeal. Yes he's an enjoyable and unique writer.